Are you sure you want to remove What If? from your list? 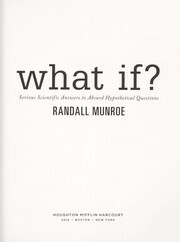 2014, HOUGHTON MIFFLIN HARCOURT Munroe, Randall (2014-09-02). What If? 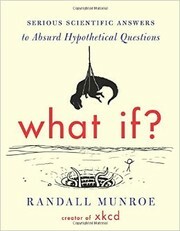 : Serious Scientific Answers to Absurd Hypothetical Questions . Houghton Mifflin Harcourt. Kindle Edition. April 4, 2015 Created by Wade Watts Added new book.